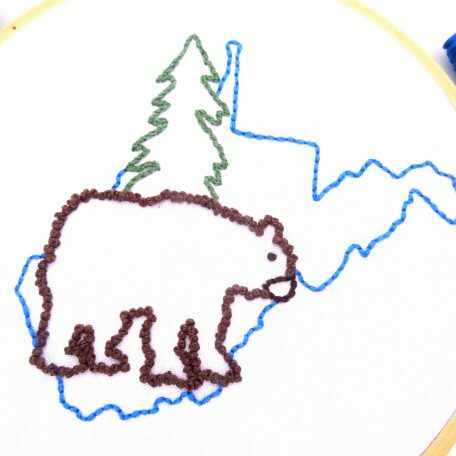 Black bears are found all over the state of West Virginia. 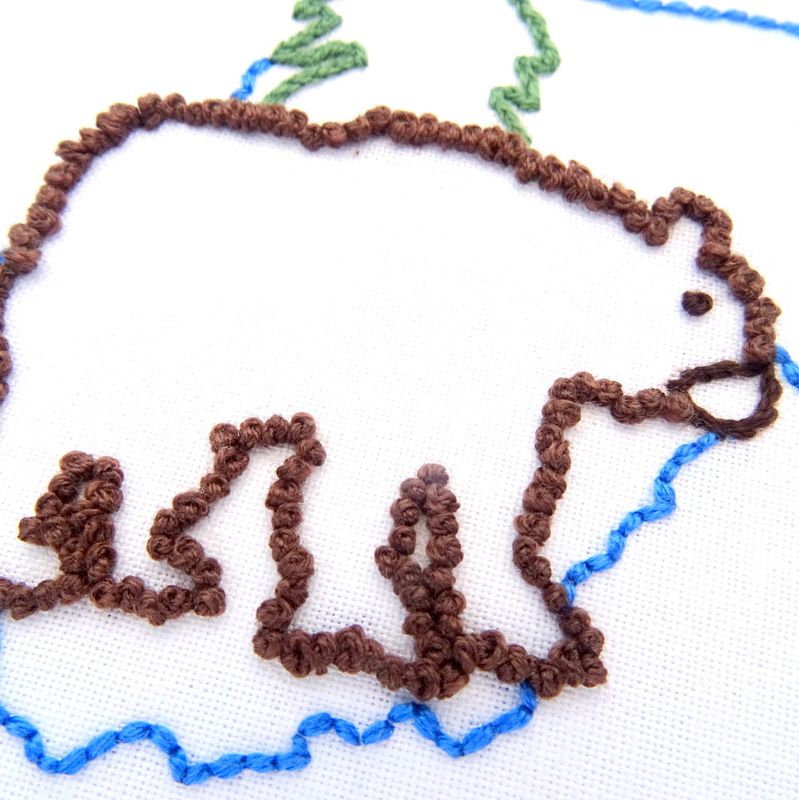 They are intelligent, shy and often solitary creatures who spend the summers foraging for food, and winters in hibernation. 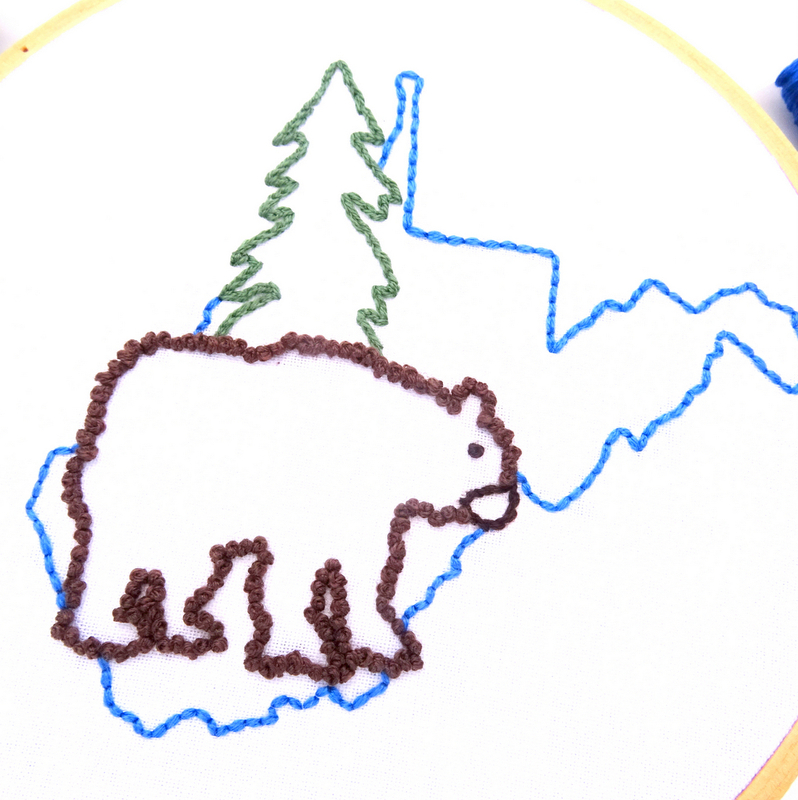 By an overwhelming majority, the black bear was chosen as the West Virginia state animal in 1973. 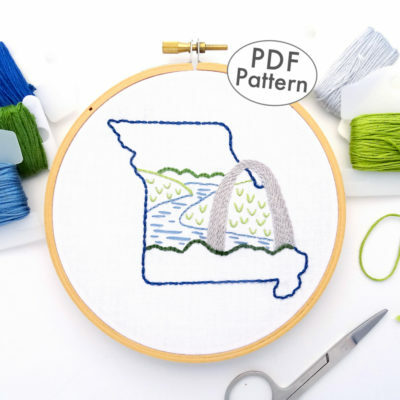 Designed with simplicity in mind, this downloadable PDF pattern uses only three different stitches and is the perfect project for novice and experts alike. Towering above the skyline of western North Carolina, the Appalachian Mountains are a dramatic and alluring landscape. 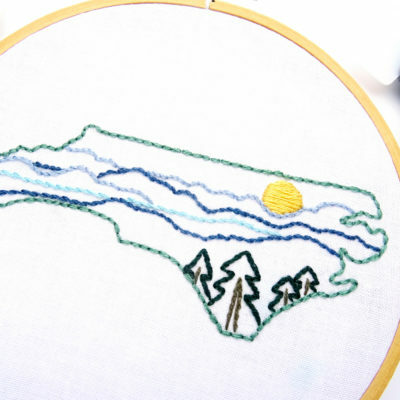 From the vantage of a high point, visitors can gaze across layers of misty mountains carpeted in shades of blue & green. 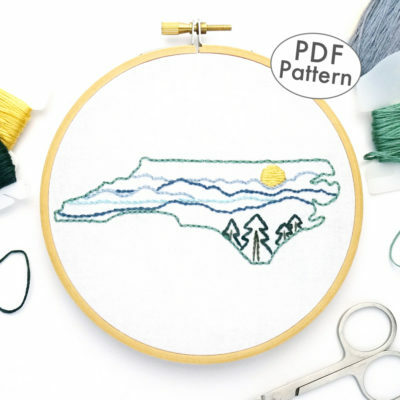 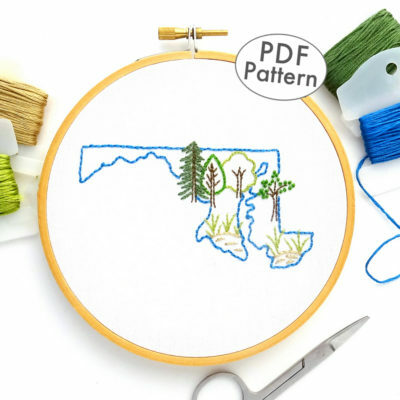 Capture the mystic of these mountains with a simple downloadable embroidery pattern featuring the sun setting behind a classic western North Carolina landscape. 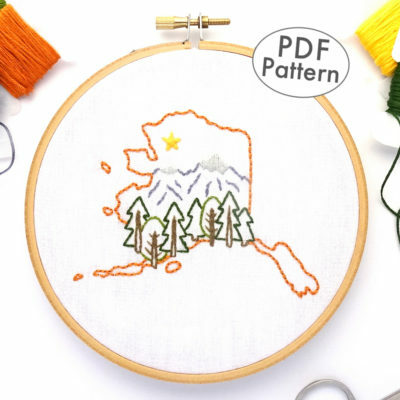 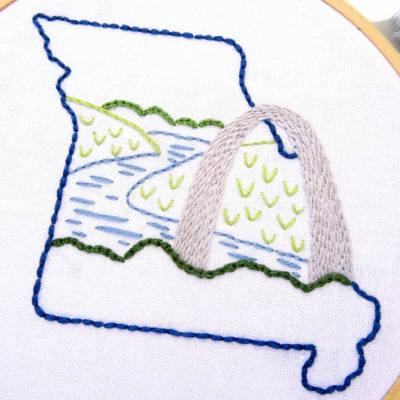 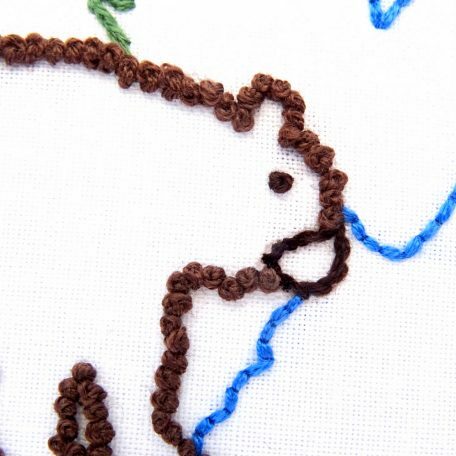 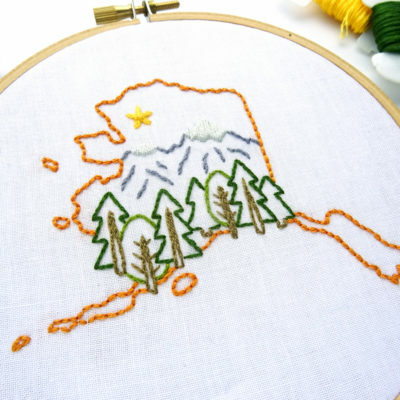 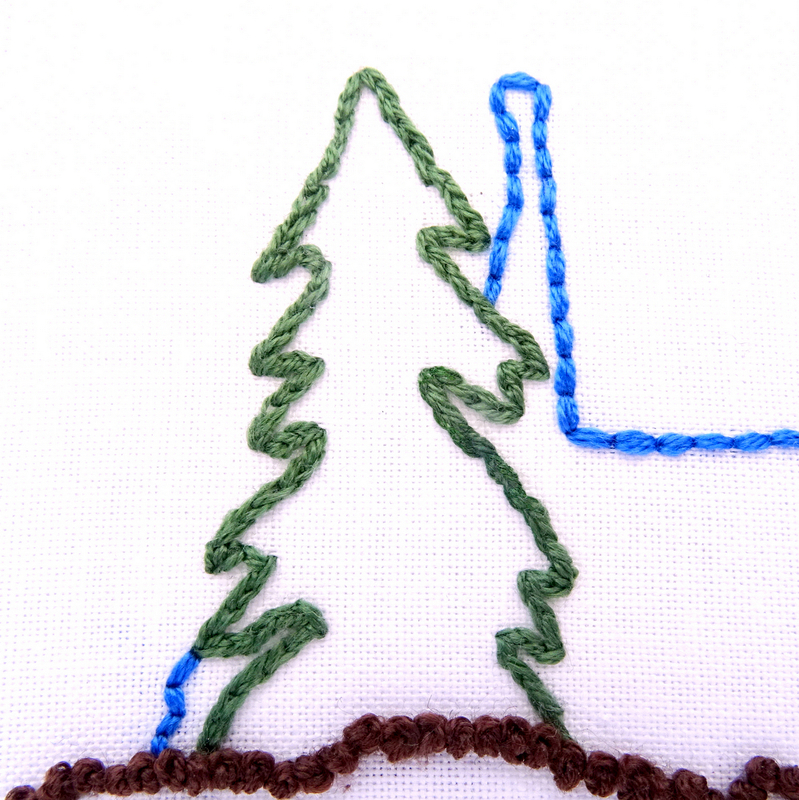 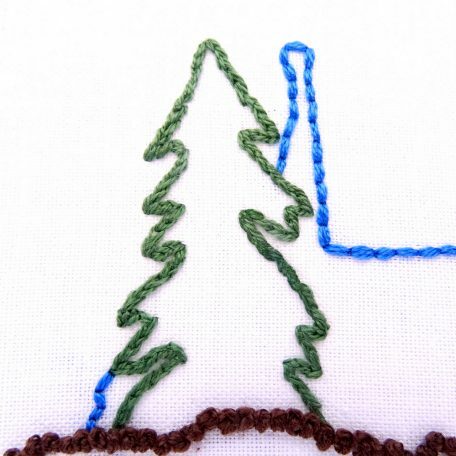 Using only four different stitches, this is the perfect project for novice and experts alike. 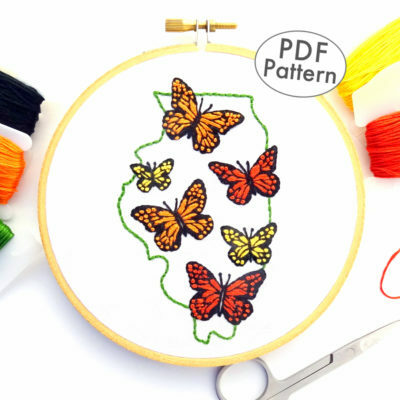 In 1974, a third-grader from Decatur, Illinois suggested that the monarch butterfly become the state insect and only a year later it became official. 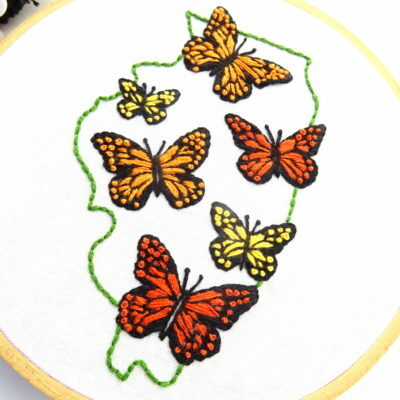 The insect can be found all over the state fluttering around fields, pastures, meadows, and along roadsides. 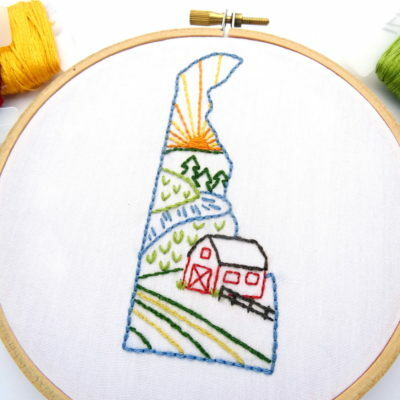 Delaware has a long and varied agricultural heritage. 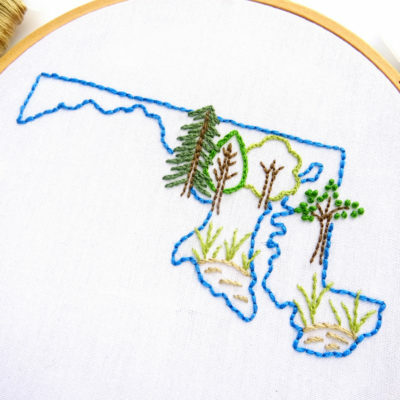 From the Delaware Bay to the Nanticoke River Basin, the prime farmland of this tiny state produces commodities such as corn, apples, and dairy. 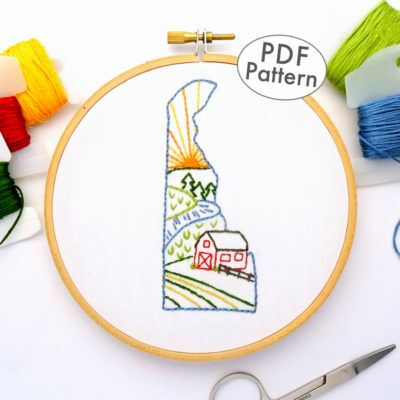 Capture a slice of pastoral paradise with this one-of-a-kind embroidery pattern featuring a barn and fields alongside a scenic winding river. 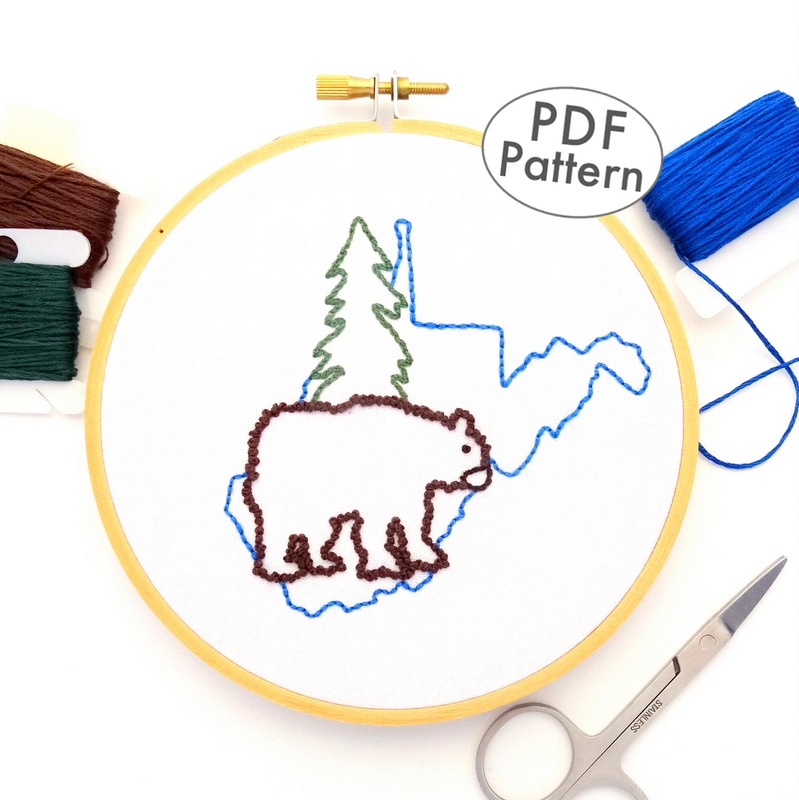 Designed with simplicity in mind, this downloadable PDF pattern is the perfect project for novice and experts alike. 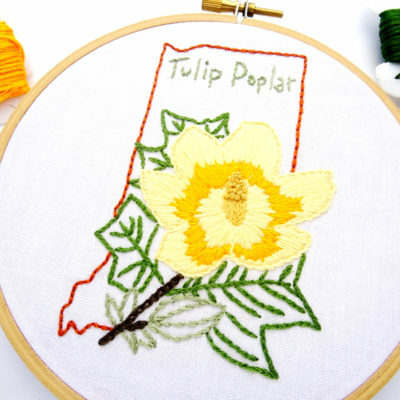 The Tulip Poplar tree, also known as Yellow Poplar or Tuliptree, was adopted in 1931 as the Indiana state tree. 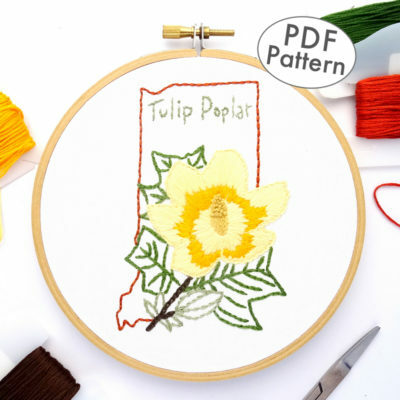 Not actually related to the Poplar, the tree is instead a member of the Magnolia family and shows off every spring with a colorful collection of large yellow flowers. 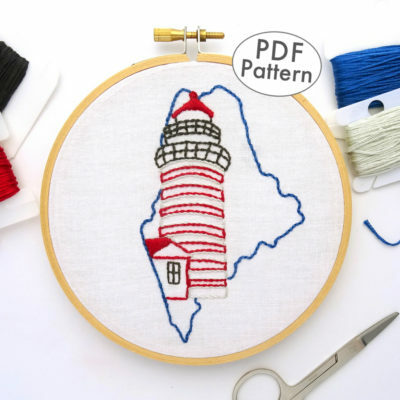 Celebrate your love of Maine with this whimsical design featuring the West Quoddy Head Lighthouse. 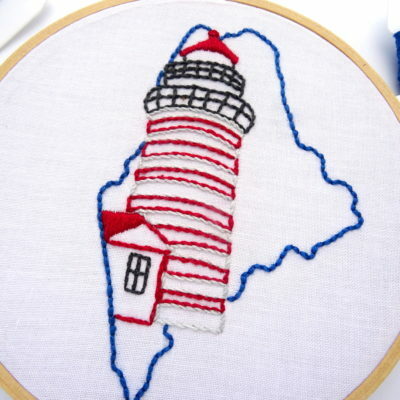 Located at the easternmost point of the United States, this lighthouse has guided ships to safe passage since 1808.